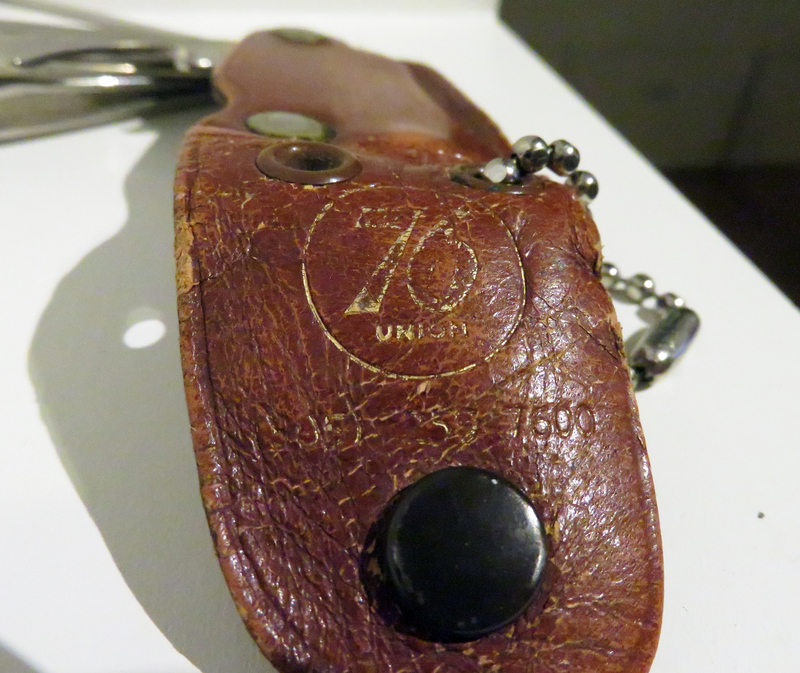 SCVHistory.com LW2932 | Newhall | Lagerberg's Union 76 Wholesale Distribution Business: Personal Toolkit Promo, 1950s-1960s. 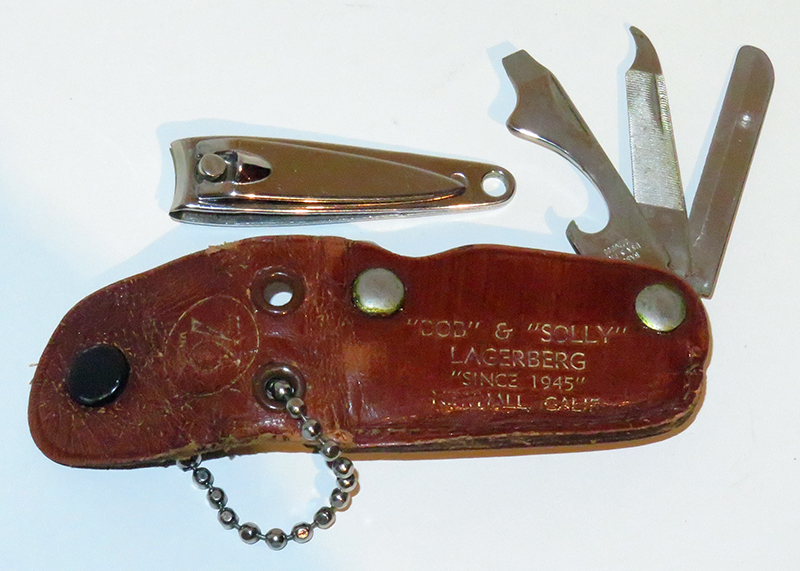 Promotional collateral (nail clippers, knife, file, bottle opener, keychain in a leather pouch) from Bob and Solly Lagerberg's Union 76 wholsale product distribution business, circa 1950s-1960s (after 1957 when the 805 area code was created, splitting off part of 213). Bob (Robert) Lagerberg was a partner in Salmond and Lagerberg, which was the local Union Oil consignee. Their distribution business was located at 24029 San Fernando Road, phone 805-259-7600. This section of San Fernando Road was subsequently renamed Newhall Avenue. 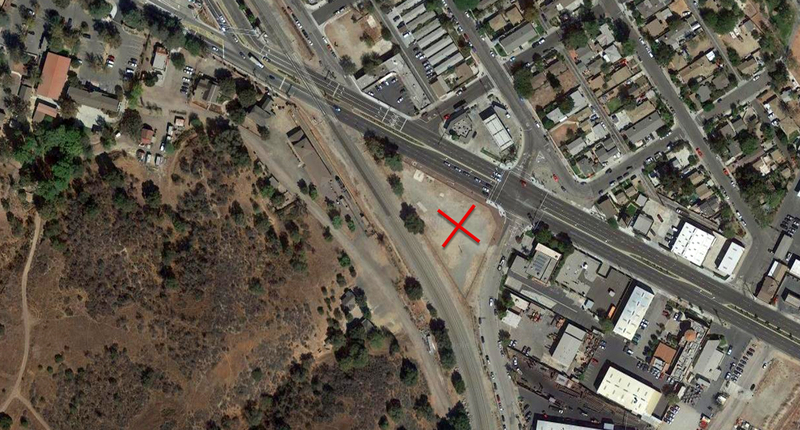 The property is the triangular parcel bounded by Newhall Avenue, Pine Street and the Southern Pacific (now Union Pacific) train tracks. 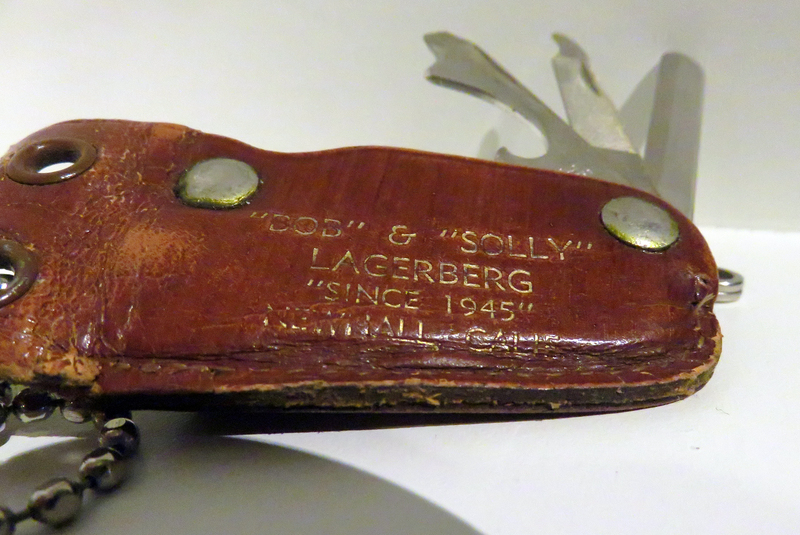 Robert Lagerberg was president of the Newhall-Saugus Chamber of Commerce (now SCV Chamber) in 1953. "X" marks the spot. Click each image to enlarge. LW2932: 9600 dpi jpegs from digital photos of original item purchased 2017 by Leon Worden.